K-1 Income – Is It Subject to Self Employment Tax? Your taxpayer client received a K-1 from a Limited Liability Company (LLC) in which he is a member. On line 14 of the K-1, there is a number being reported as self-employment earnings. Is it correct? Should your client be reporting his/her share of LLC income as self-employment earnings? If the taxpayer does, they have an additional tax to pay, called the self-employment tax. This self-employment tax is imposed in addition to the regular income tax you already pay, and is imposed on your self-employment earnings. For self-employment income earned in 2013 and 2014, the self-employment tax rate is 15.3%. The rate consists of two parts: 12.4% for social security (old-age, survivors, and disability insurance) and 2.9% for Medicare (hospital insurance). Generally, a taxpayer’s share of ordinary income reported on a Schedule K-1 from a partnership engaged in a trade or business is subject to the self-employment tax. However, like any general rule, there are a myriad of exceptions, including one excepting a limited partner's share of ordinary income from a partnership. Should the term “limited partner” be interpreted to include members of a LLC? How about partners in a Limited Liability Partnership (LLP)? The revised partnership statutes in most states have redefined the term limited partner to expand significantly the extent to which such a partner may participate in the control or activities of the partnership without jeopardizing the partner's limited liability. Also all states have added at least two new types of legal entities since the exception found its way into the Internal Revenue Code: LLCs and LLPs. While there are similarities between LLCs, LLPs, and traditional limited partnerships, the comparison is far from exact. In a LLC, each member enjoys limited liability. Depending on the type of LLC (i.e., member-managed versus manager-managed), as well as provisions of the operating agreement, members are free to participate in the control and activities of the LLC to any extent. LLPs arose as a means of protecting professionals from the liability of their partners engaging in negligent acts. Unlike a limited partnership, there is no need in a LLP for a general partner that remains wholly liable for the liabilities of the partnership; rather, each partner remains liable only for his or her own acts. In some states, the privilege of operating within the LLP form is reserved to certain professions (e.g., lawyers, doctors, architects, etc.) but in all cases, the partners of a LLP are free to participate in the control and activities of the entity without jeopardizing their liability protection. So what is the right answer to the question of whether ordinary income on a K-1 constitutes self-employment earnings? Perhaps the reason why Congress, Treasury, IRS and Courts have found this to be such a vexing issue is that finding the right answer is so highly dependent on the facts and circumstances of each case. 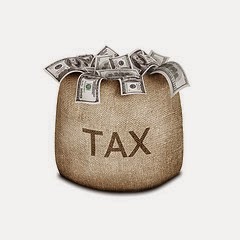 Recent Tax Court cases seems to have focused on the nature of the taxpayer’s activities, and not on the title “limited,” or the liability protection enjoyed. In determining self-employment earnings, it would seem that, such a tack is appropriate. Unfortunately, it means that absent Congress coming forth with some bright-line definition, each situation will need to be analyzed carefully to determine whether the income constitutes self-employment earnings. Need Help Determining Whether Your K-1 Is Subject To SE Tax? 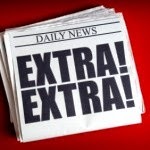 IRS Simplifies Entering The New Streamline Program By Issuing New Forms 14653 & 14654! We previously posted on Wednesday, June 18, 2014, "IRS Makes Changes to Offshore Programs; Revisions Ease Burden and Help More Taxpayers Come into Compliance" where we discussed that the IRS released IR-2014-73, which provides major changes in its offshore voluntary compliance programs, providing new options to help both taxpayers residing overseas and those residing in the United States. The modified streamlined filing compliance procedures are designed for only individual taxpayers, including estates of individual taxpayers. The streamlined procedures are available to both U.S. individual taxpayers residing outside the United States and U.S. individual taxpayers residing in the United States. 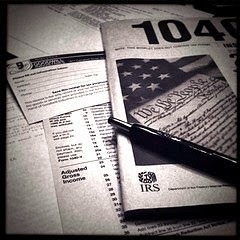 Descriptions of the specific eligibility requirements for the streamlined procedures for both non-U.S. residents (the "Streamlined Foreign Offshore Procedures") and U.S. residents (the "Streamlined Domestic Offshore Procedures") are set forth on the IRS' Streamlined Filing Compliance Procedures web page; which originally required Taxpayers using either the Streamlined Foreign Offshore Procedures or the Streamlined Domestic Offshore Procedures to certify, that the failure to report all income, pay all tax, and submit all required information returns, including FBARs (FinCEN Form 114, previously Form TD F 90-22.1), was due to non-willful conduct. Form 14654 –Certification by U.S. Person Residing in the United States for Streamlined Foreign Offshore Procedures. if a U.S. tax return has been filed previously, submit a complete and accurate amended tax return using Form 1040X, Amended U.S. Individual Income Tax Return, together with the required information returns (e.g., Forms 3520, 5471, and 8938) even if these information returns would normally be filed separately from the Form 1040 had the taxpayer filed a complete and accurate original return. Include at the top of the first page of each delinquent or amended tax return and at the top of each information return "Streamlined Foreign Offshore" written in red to indicate that the returns are being submitted under these procedures. This is critical to ensure that your returns are processed through these special procedures. Complete and sign a statement on the Certification by U.S. Person Residing Outside of the U.S.certifying (1) that you are eligible for the Streamlined Foreign Offshore Procedures; (2) that all required FBARs have now been filed (see instruction 8 below); and (3) that the failure to file tax returns, report all income, pay all tax, and submit all required information returns, including FBARs, resulted from non-willful conduct. You must submit the original signed statement and you must attach copies of the statement to each tax return and information return being submitted through these procedures. You should not attach copies of the statement to FBARs. Failure to submit this statement, or submission of an incomplete or otherwise deficient statement, will result in returns being processed in the normal course without the benefit of the favorable terms of these procedures. Submit payment of all tax due as reflected on the tax returns and all applicable statutory interest with respect to each of the late payment amounts. Your taxpayer identification number must be included on your check. If you are not eligible to have a Social Security Number and do not already have an ITIN, submit an application for an ITIN along with the required tax returns, information returns, and other documents filed under these streamlined procedures. 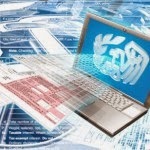 See the ITIN page on www.irs.gov for more information. For each of the most recent 6 years for which the FBAR due date has passed, file delinquent FBARs according to the FBAR instructions and include a statement explaining that the FBARs are being filed as part of the Streamlined Filing Compliance Procedures. You are required to file these delinquent FBARs electronically at FinCen. On the cover page of the electronic form, select “Other” as the reason for filing late. An explanation box will appear. In the explanation box, enter “Streamlined Filing Compliance Procedures.” If you are unable to file electronically, you may contact FinCEN's Regulatory Helpline at 1-800-949-2732 or 1-703-905-3975 (if calling from outside the United States) to determine possible alternatives to electronic filing. Include at the top of the first page of each amended tax return "Streamlined Domestic Offshore" written in red to indicate that the returns are being submitted under these procedures. This is critical to ensure that your returns are processed through these special procedures. Complete and sign a statement on the Certification by U.S. Person Residing in the U.S. certifying: (1) that you are eligible for the Streamlined Domestic Offshore Procedures; (2) that all required FBARs have now been filed (see instruction 9 below); (3) that the failure to report all income, pay all tax, and submit all required information returns, including FBARs, resulted from non-willful conduct; and (4) that the miscellaneous offshore penalty amount is accurate (see instruction 5 below). You must maintain your foreign financial asset information supporting the self-certified miscellaneous offshore penalty computation and be prepared to provide it upon request. You must submit an original signed statement and attach copies of the statement to each tax return and information return being submitted through these procedures. You should not attach copies of the statement to FBARs. Failure to submit this statement, or submission of an incomplete or otherwise deficient statement, will result in returns being processed in the normal course without the benefit of the favorable terms of these procedures. For each of the most recent 6 years for which the FBAR due date has passed, file delinquent FBARs according to the FBAR instructions and include a statement explaining that the FBARs are being filed as part of the Streamlined Filing Compliance Procedures. You are required to file these delinquent FBARs electronically at FinCen. On the cover page of the electronic form, select "Other" as the reason for filing late. An explanation box will appear. In the explanation box, enter "Streamlined Filing Compliance Procedures." If you are unable to file electronically, you may contact FinCEN's Regulatory Helpline at 1-800-949-2732 or 1-703-905-3975 (if calling from outside the United States) to determine possible alternatives to electronic filing. Remember that for either of these streamlined programs, the taxpayer MUST be able to prove Non-Willfulness as e described in our post IRS OVDP vs. New Streamlined? Need Help With The New Streamline Programs? A lawsuit has been filed by several Canadian citizens against the Canadian Attorney General in Federal Court in Canada. 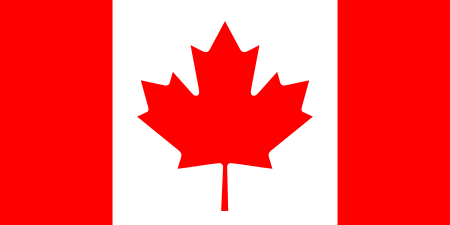 The legal claim challenges the constitutionality of the agreement the Canadian government struck with the United States. 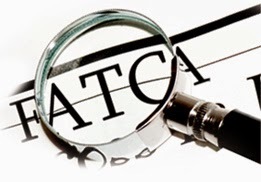 The controversial deal between nations was inked under the Foreign Account Tax Compliance Act (FATCA). Canada has violated the charter rights of nearly a million Canadians by agreeing to share their financial details with authorities in the United States, two Ontario women allege in a new lawsuit. Gwen Deegan of Toronto and Ginny Hillis of Windsor, Ont., have launched a claim against the Attorney General of Canada. In it, they accuse Ottawa of breaching the Constitution by complying with a sweeping new American tax fraud law, known as the Foreign Account Tax Compliance Act. Under the terms of the legislation that took effect last month, banks must share all personal and joint account details of anyone deemed to be a “U.S. 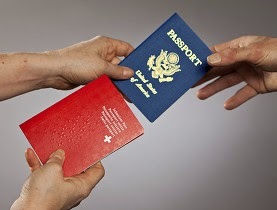 person.” This includes American citizens and people born in the U.S., even those with no existing ties to the country. In Canada, financial institutions must share relevant account holder details, including personal details and financial balances, with the Canada Revenue Agency. The CRA will in turn pass that information along to the U.S. Internal Revenue Service. Hillis and Deegan, both of whom were born in the U.S. but have lived in Canada since the age of 5, claim Canada is exposing them and others in similar circumstances to unfair tax penalties and privacy violations by complying with FATCA. “I don’t believe that my rights as a Canadian citizen should be abrogated by my government,” Hillis said in an interview from Windsor. “I don’t believe my government should be breaching our sovereignty rights as a nation. "My own Canadian government has betrayed me," said Gwendolyn Louise Deegan, 52, a Toronto resident and owner of a graphics-design business who is one of two plaintiffs named in the suit. The suit is funded by the Alliance for the Defence of Canadian Sovereignty and names Canada's attorney general as the defendant. by discriminating against them on the grounds of their country of birth. This lawsuit is accompanied by a separate submission of a complaint to the United Nations, by concerned citizens worldwide, that the unique U.S. style ‘place of birth taxation’, for which FATCA is an enforcement tool, violates fundamental human rights. Who is funding this? The Alliance for the Defense of Canadian Sovereignty (ADCS), though it appears donations are coming from many. "The government is confident that the legislation in question [which implements the agreement] is constitutionally valid," said a spokesperson for the Canadian Department of Finance. "The government is prepared to defend the legislation in court." Last month, a spokesman for Canada's Finance Department, which sets bank regulations, said Canada obtained "a number of concessions" as part of the agreement with the U.S. One key win was the exemption of registered retirement-savings plans, or the Canadian equivalent of the U.S. 401(k). See our post Canada Limits Model I FATCA Agreement. on any payments from U.S. sources to the banks or their account holders. The effort has also affected middle-class Americans living overseas. U.S. tax law currently exempts up to about $100,000 of income earned abroad, but Washington has stepped up enforcement of a requirement that Americans report foreign accounts to the U.S. government. Under Fatca, foreign banks and financial institutions are also required to disclose information about U.S. customers. Amid the crackdown, US Expatriation Increased At a Record Pace in 2014! Canada is home to one of the largest populations of Americans living abroad, with an estimated one million residents holding U.S. citizenship. Are You A US Citizen living in Canada? Do You Have Foreign Income Not Reported to the IRS? Over the last three fiscal years, the IRS has paid out more than $186 million in awards, on collection of more than $1 billion (19%) based on whistleblower information. 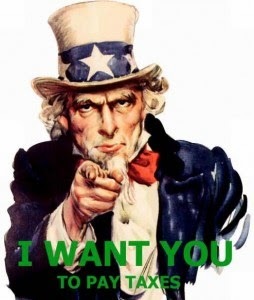 On Friday, August 8, 2014 we posted "Get Your Whistles Ready - IRS Issues Final Regs. on How To Get Your Reward! "regarding that the IRS has issued final regs that provide comprehensive guidance for IRS' Code Sec. 7623 award program (i.e., whistle blower awards). Now on August 20, 2014 the Deputy Commissioner for Services and Enforcement Memorandum stating that a review of operating guidelines for the Internal Revenue Service's Whistleblower Office has resulted in newly outlined expectations for timely action on whistle-blower submissions. Among the expectations is that whistle-blowers will be notified of an award decision within 90 days of the date that collected proceeds are finally determined. Whistleblower Office -claims received should be initially evaluated by the Whistleblower Office within 90 days. Operating Divisions and Criminal Investigation -review by subject matter experts or their designee. as applicable to case type, should be completed within 90 days of receipt. Whistleblower Office -whistleblowers should be notified of an award decision within 90 days of when collected proceeds can be finally determined. The Office of Chief Counsel has established controls and reporting requirements for its risk analysis opinions. BPR reports should include data on cases for which a risk analysis has been requested but not received for more than 30 days. Chief Counsel has concurred in making this area a priority. 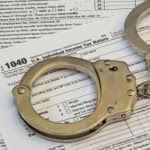 of Underpaid IRS Tax Liabilities for Blowing the Whistle on a Tax Cheat? Blowing the Whistle on a Tax Cheat?